There are affiliate links in this post. This means I may get a few cents to help pay for this blog if you order but it won't cost you a thing. 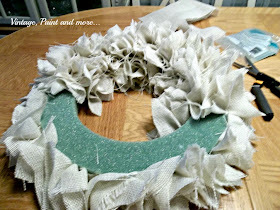 I have been lusting after those beautiful Farmhouse burlap wreaths I have seen all over Pinterest. You know the ones that are full of so much texture and just so vintage and "farmhousie" looking. Well, I finally decided to make one for myself instead of enjoying them through pictures. Isn't it gorgeous? And, so simple to make. I did it in one evening while also watching some TV. 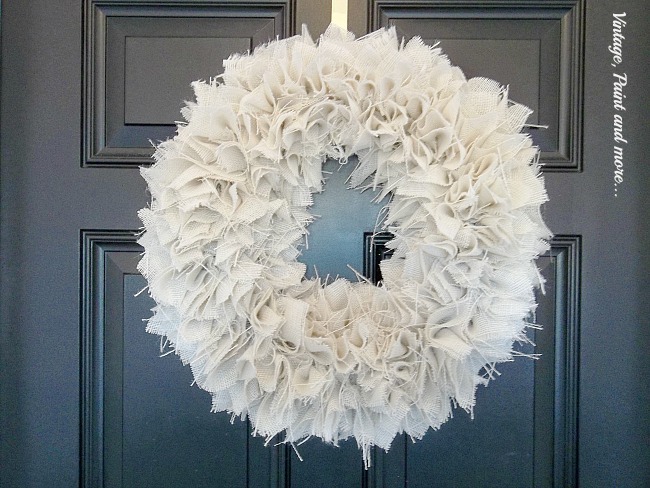 Most of the wreaths I had seen were a dark brown in color but this was not available at our Walmart and that being the only place for fabric I chose the white the only color they had - white. However, after it was finished I liked the white so much better than the brown ones I had seen. Sometimes, things work out so much better when we are given fewer choices. 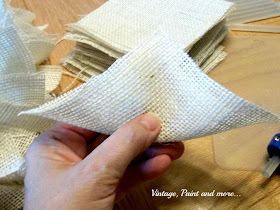 I cut the burlap into 4" x 4" squares. I didn't count how many. I just made a big stack and then cut some more when I ran out. 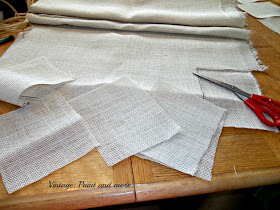 Begin by taking one 4" square and folding it diagonally making one corner touch the opposite corner as pictured above. Next, I made a little fold ( or tuck ) at the center and applied hot glue to it. Then I poked the glued area into the Styrofoam wreath. You can use a pencil, screwdriver, knitting needle - anything that will poke the fabric down into the Styrofoam. You can see how it looks in the above picture. I did the outside edge first making sure no green showed when I looked at it from all angles. Then I started filling in around the top and the inside edge. 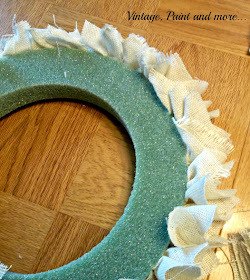 Keep working around the wreath filling in any gaps where you may see the green through. This makes a very full wreath. I hung it on our front door where it really stands out against the black. 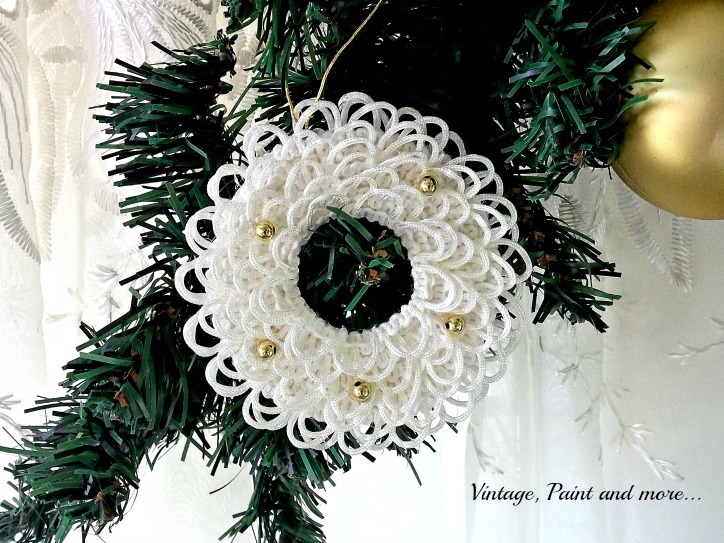 I use this wreath year round in different areas of our home. You can easily add "faux" flower picks to it to reflect the season you are wanting to use it for. In the Fall I add sunflowers and leaves to reflect the colors of fall, at Christmas I add poinsettias or gold Christmas balls. You can use whatever coordinates with your decor to change it out. 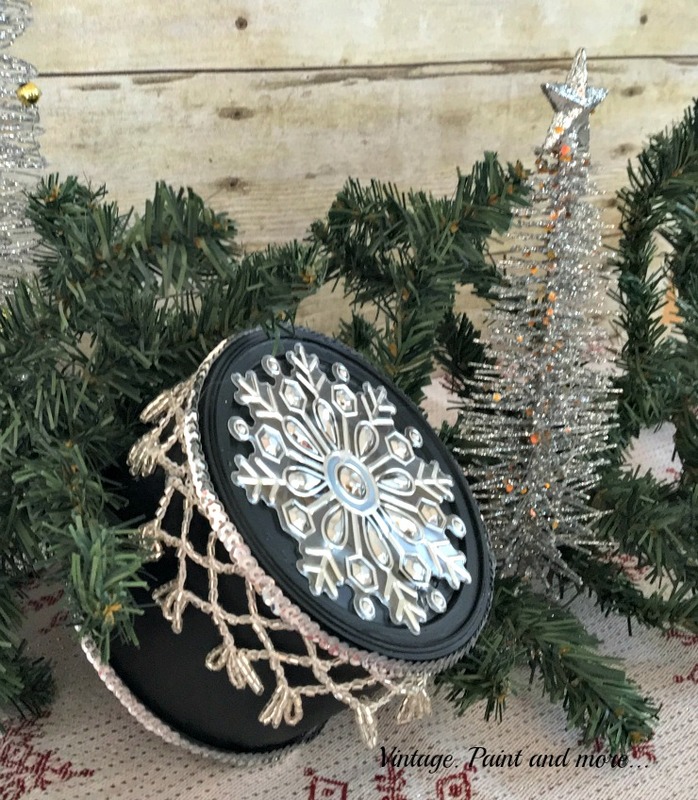 It is truly one of the most versatile wreaths I have. What do you think? 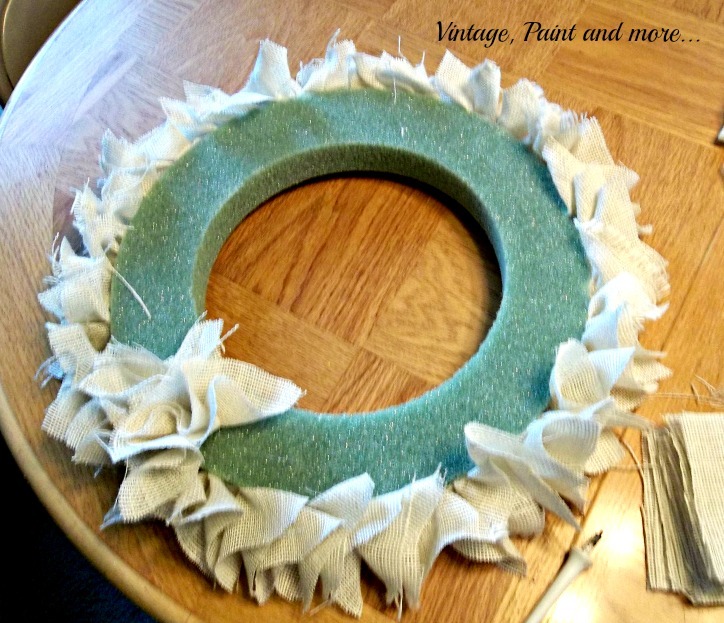 Is there a beautiful burlap wreath in your future? and create something you love. I will be linking to some of the parties you can find listed on my I Party At page. Please visit them and check out all the great projects found there. Love your wreath. I've been dieing to make one lately, have purchased everything to make it too, just haven't gotten around to doing it yet. Maybe this weekend?? Thanks for the inspiration to get mine done. OMG - I absolutely love it Cathy - have to try one of these, definitely! I finally came looking and found you too! I think I need to double back to see at what point in accomplishing (time), the transition took place! I've got some catching up to do..., lol!, in all aspects of life! The wreath is beautiful! The white burlap looks great on your door.., and come Christmas time, a splash of red with old bulbs,wtv (knowing you, wtv will become a treasure hunt! lol! ), will make it stand out right thru the Holidays. 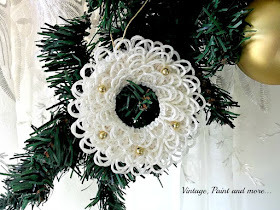 I found your blog through "Embracing Change" - absolutely love this wreath and the tutorial. Thank you! 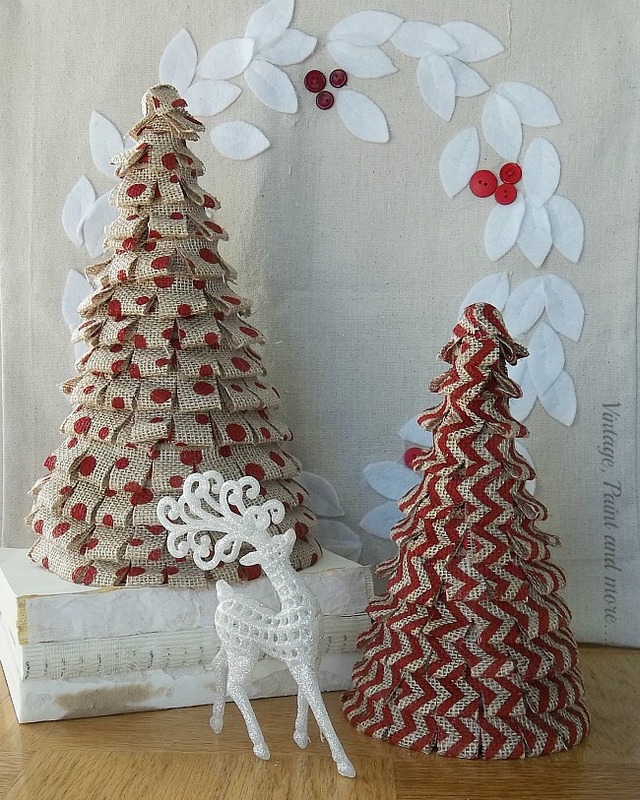 I made a similar one with red burlap in the past and it is beautiful! Love the white! I bet the red is awesome and would be lovely during the holidays. Thank you so much for stopping by and for hosting such an awesome party. Very pretty! Thanks for the great step by step, I just may try one! I'm now a new follower! So pretty and I love the texture! I LOVE THIS .......... 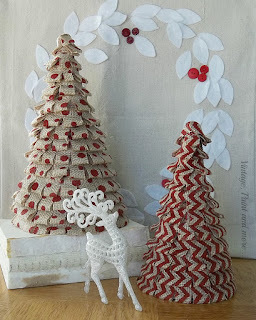 This is on my list for a DIY, I did a Pine Cone Wreath a few weeks ago! 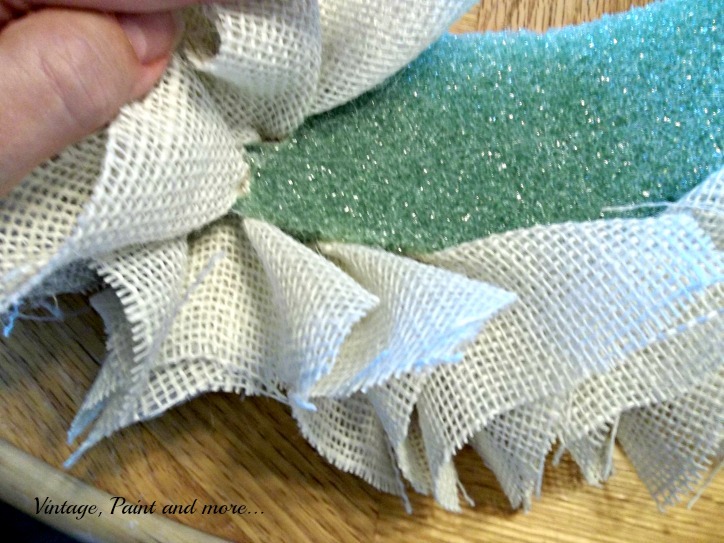 I have always wanted to make a burlap wreath like yours. I like that yours can be used for any season. Thanks so much for sharing with this week's Throwback Thursday party. I'm loving your burlap wreath! And I like that it's white. So beautiful! Thanks for sharing at Throwback Thursday. LOVE IT! 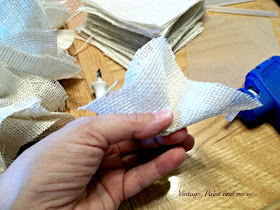 I am working now on a paper wreath that I will be showing in the blog soon ;-) I invite you to participate in our linky party every thursday if you'd like. We love to make new friends! http://www.thefamilyfunspot.com/2013/11/bloggers-unidas-1.html Have a lovely day! ve been wanting to make a burlap wreath and didn't know exactly how to do it. Thanks so much for the tutorial. I think I'll make a red and green one for Christmas! Thanks for sharing with this week's Throwback Thursday party. I love this Cathy - so much easier than cutting a million strips and tying them on !